Jill Of All Trades: The all new Vodafone U! 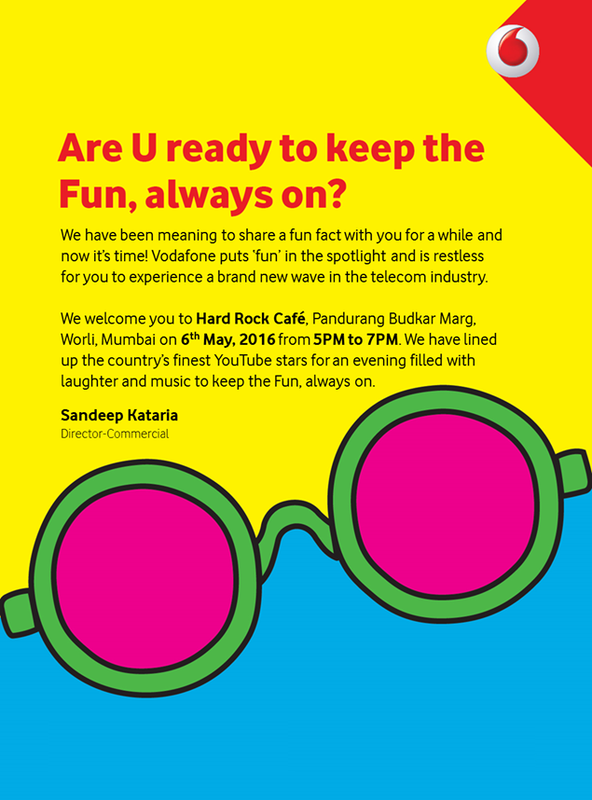 I got invited to Hard Rock Cafe this Friday for a surprise event by Vodafone. Since I love being at HRC and I definitely do want to keep the FUN, ALWAYS ON, I was there! 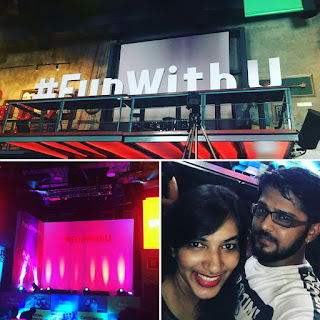 Usually these launch events get very sales/product orientated, with a lot of boredom and a li'l bit of fun, but Vodafone inverted the proportion with a li'l bit of product knowledge and a lot of fun! 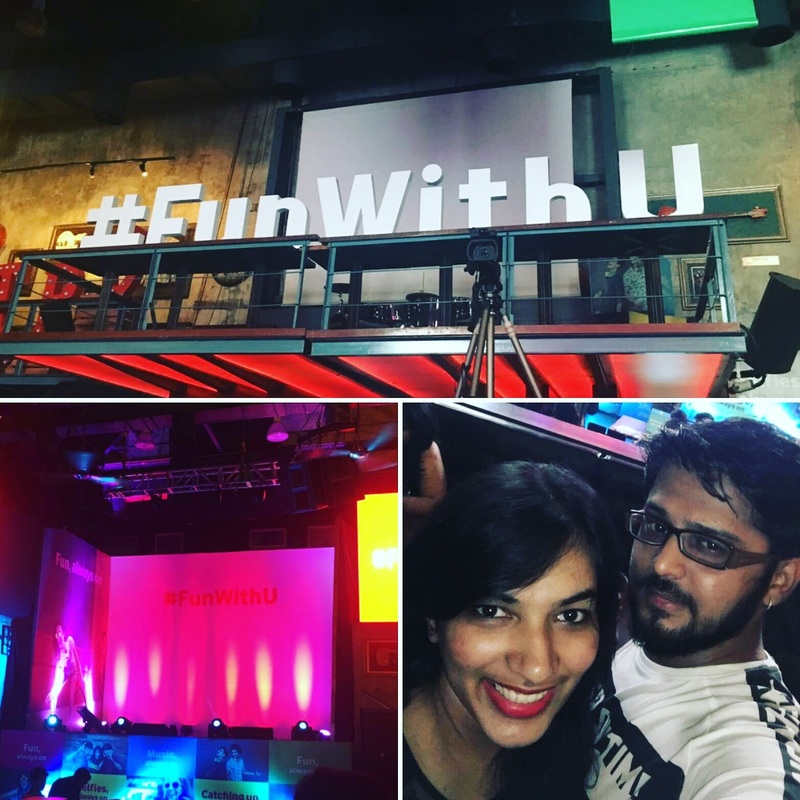 The event was kicked off by Sandeep Kataria launching the new plan (and app) called Vodafone U - meant for the millennials, the plan has really cool (and fun) features. Fun takes centre-stage with Vodafone U which will be offered in two packs – one for first time pack users and the other as Recharge packs – both available in Large and Small variants suited to different needs. Vodafone U lets you splurge lots of data without burning a hole in your pocket. It brings you closer to your best buddies with happy call rates. And it’s also gets the party started anytime, anywhere with free music downloads. Because for Vodafone U, the centre of universe is quite literally, you. o Data Allowance: Now keep surfing day and night at leisure. Get a separate night allowance so that you don’t have to miss out on single moment of fun. o Data Loan: Has running short of data forced you to cut corners. Breathe Easy with data loan of 60MB of 3G/4G for 2 days, when you need it the most. o Music, always on: Uplift your mood or tend to a broken heart with just the right kind of music. Get unlimited free music downloads for 2 months. The Data Loan is a brilliant initiative, after all we live in the Roti, Kapda, Makaan & Internet generation; where without internet we feel pretty left out. I am definitely going to buy the pack on my prepaid Vodafone card, specially because of the free music download for 2 months which is a limited period launch offer! Fun, always on! In a country like India, vastu shasta is considered one of the basic requirements while constructing a property or building according to pre-specified principles. It is necessary to follow these principles for wealth, health, fame and prosperity in life. Though it has become difficult to follow each and every principle in the present era, it is important to make maximum use of tenets in order to achieve peace and harmony in life.